Directed by Martin Scorsese. Starring Ben Kingsley, Asa Butterfield, Chloë Grace Moretz, Christopher Lee, Sacha Baron Cohen. Accompanied by a series of glorious reviews and voted Best Film of the year by the National Board of Review Hugo has finally hit our multiplex. Obviously the expectations are pretty high! On paper this has got all the elements to be a true masterpiece. Loveable kids, Paris in the 30s, passion for old movies, a heart-melting story, magical sets, spectacular 3d, an amazing cast… and of course Martin Scorsese himself at its helm. How can it possibly go wrong? Unfortunately despite all these potentials, the film itself never really took off for me and for all its good intentions, its great heart and undoubtedly its mastery in film-making, in the end Hugo 3D cannot hide the fact that it’s all over the place and actually just a bit boring. Yes some of the camerawork is astonishing and Marty certainly knows how integrate 3D into his story, making it more than just a gimmick: right from the beginning we can see the potential as we are treated with a one-shot-wonder which pushes the 3D effects beyond anything we’ve seen before (yes, even Avatar). The camera glides, twirls and swoops across a train station, then jibs up along ladders and flies through giant clock mechanisms. But even this first burst of energy gets a bit tiresome after a while and the film runs out of steam pretty soon after that and not even all those camera swoops, chases and constant music can raise the level of excitement. The main problem seems to be that Scorsese is so concerned about the message of preserving old films, that he forgets about how to make it an involving and exciting story, and most of all, he forgets who central character should be: the film is called Hugo after all. In fact the most inspired scenes in the movies have nothing to do with Hugo himself but rather with Ben Kingsley’s character, the French magician/film-maker Georges Méliès (yes, the one from the 1902 “Le Voyage Dans La Lune, which you can see below). The scenes around him are probably some of the most inspired… and the best. There’s a certain pleasure in seeing the behind the scenes of such iconic moments in cinema history. There’s a great sense of nostalgia for that comes with them and Scorsese’s attention to details is definitely to be praised. However none of this will probably make any difference to the average viewer who will soon wonder where all this is going and surely will get a bit bored. It’s hard to tell who is this film aimed at. It is definitely too slow for kids, too diluted for the average person, too rhetorical and over-explicit and a bit silly for the real cinephiles. Scorsese might have made this film for his kids (or so at least he claims), but it’s clear that he has quite got that open-mindedness about children and that innocence and sense of wonder (that for example Spielberg has) to tell a story about them which would ring true: both Hugo and Isabel (an unusually wooden Chloë Grace Moretz) speak a language which doesn’t quite belong to them (it’s as if Scorsese himself were talking). In the end it’s clear that the director is much more interested in telling a story about the restoration of old movies, rather than a fairy tale about a kid growing up and finding a family. Funnily enough, even the message about saving old films from the past loses a little bit of credibility (and honesty) the moment in which Scorsese decides to turn Méliès’ movies into 3D. The fault at the core of all this is that Scorsese is just trying to be too clever and cram too much in it. In a way he is even trying to make his own “Rear window“, by giving us little stories around the train station, as seen from the eyes of Hugo, just like in Hitchcock’s masterpiece we were treated to glimpses of lives seen through the eyes of James Stewart. However while in Rear Windows those stories where a representation of our character’s state of mind (his doubts and fears about married life) and always seen his own the point of view, here much too often we lose track of Hugo himself and the lives we get too see are completely irrelevant to the central story. Most them even feel a bit misjudged too. Sacha Baron Cohen’s turn as police inspector and his slapstick gags are never really as funny as they should be the romances between the various couples are as moving or even quirky as they should to be and in fact not only they seem to belong to a different film altogether but they also pull the film in too many different directions. It’s surprising how a film so concerned about the art of storytelling could lose itself so much when trying to actually tell a simple story. Wow! Only 6? I loved Hugo. The 3D is amazing, but not as amazing as the story. I like it more each time I think about it. I really wished I could have liked it more, but as I said, despite the many ideas and all the good intentions at the heart of it, it was a bit too diluted and didn’t quite work as a coherent story. 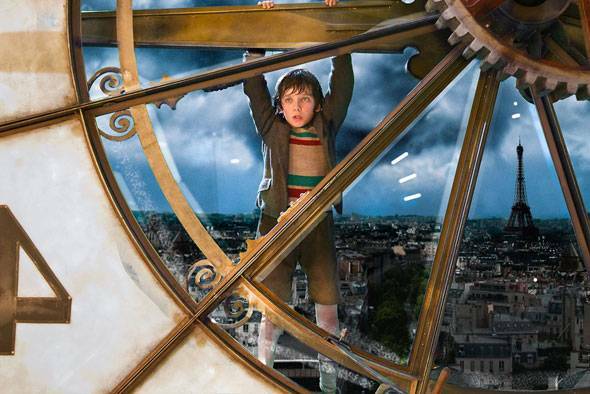 It felt like 2 different films: the story about Hugo (quite banal and underwealming) and the one about Melies, plus a whole series of superfluous subplots and characters which didn’t always work or contributed in advancing any of the story or deepening any of the main characters. I don’t believe that Melies’ films presentation in 3D does any disservice to them or the film’s credibility. It is entirely in keeping with the whole reason the film is 3D. Melies was one of the first film “magicians,” employing tricks to immerse the viewer in an awe-inspiring spectacle. Scorsese is doing the same thing, immersing the viewer in an awe-inspiring spectacle. It is simply an extension of Melies’ intentions. Also, I think the little stories around the train station that capture Hugo’s attention are throw-away moments, or just atmospheric. The are intimately linked to one of the core themes of Hugo – people as potentially broken gears in a vast machine. All of the people he peers at are struggling to be something more, to want for something that seems just out of reach. We all read films in different ways. I’m pleased Hugo worked for you (and so many others before you) but I just couldn’t get into it. Thanks for your message and your well-express opinion.